In 1952, Breitling developed the Navitimer, a revolutionary wrist-worn chronograph that instantly became a mainstay of every cockpit. It was worn by pilots for some of aviation’s most impressive developments, thanks to an innovative slide rule that enabled them to make all critical flight calculations. 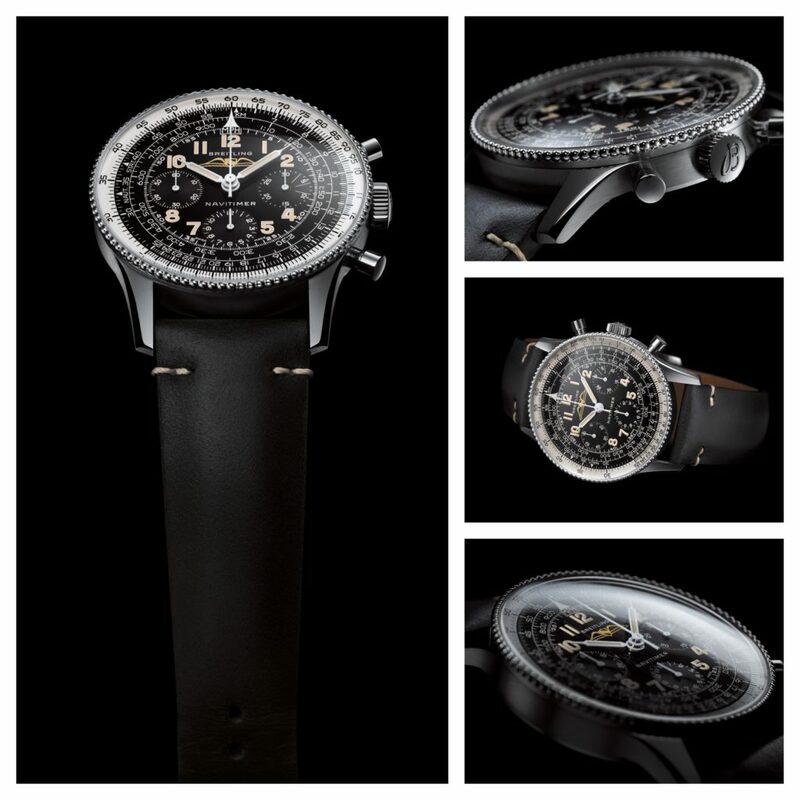 Breitling has now unveiled the Navitimer Ref. 806 1959 Re-Edition, which celebrates one of the most iconic early designs of the Navitimer, released exactly 60 years ago. Breitling has announced the release of its first re-edition timepiece, with subsequent launches also planned for the future. The Navitimer Ref. 806 1959 Re-Edition is a chronograph that replicates – almost to the smallest detail – the design codes of one of the most venerated early Navitimers, the Breitling Ref. 806, including an all-black dial with tone-on-tone subdials and a rotating beaded bezel. 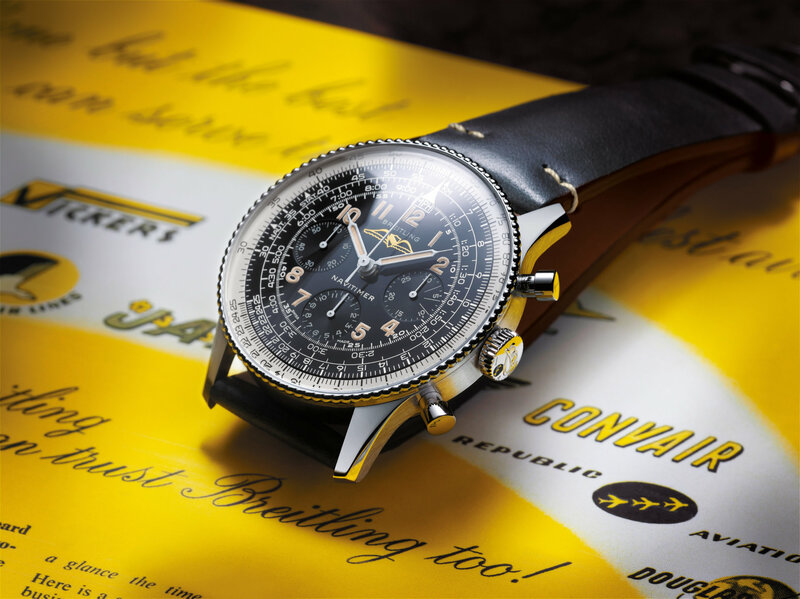 The Breitling Navitimer Ref. 806 1959 Re-Edition is a direct link to one of the most impressive legacies in all of watchmaking. In celebration of the year this specific design was produced, it has been created in an edition limited to 1959 pieces, all individually numbered and engraved on the caseback. With such a rich legacy, Breitling is looking forward to creating other models that celebrate some of the brand’s significant milestones. Navitimer Ref. 806 1959 Re-Edition and the historical Navitimer Ref. 806 from 1959, from left to right. First developed in 1952, the Breitling Navitimer is not only the most iconic of all Breitling wristwatches but also one of the industry’s few true legends. This twentieth-century classic remains popular in the twenty-first century, more than 65 years after it was first launched to meet the needs of a growing commercial and recreational aviation market. Thanks to a circular slide rule enabling the wearer to make all critical calculations they might need when in the air, the Navitimer was quickly adopted by pilots and especially favored by the Aircraft Owners and Pilots Association (AOPA) in the US. Its status would be further enhanced in the 1960s when it was worn by cult figures such as jazz great Miles Davis and Formula 1 champion Jim Clark. Instantly recognizable, this timeless chronograph looks as stylish today as it did when it was first designed. The Breitling Navitimer Ref. 806 1959 Re-Edition has been created with painstaking attention to every detail of the 1959 Navitimer design. Like its inspirational ancestor, it has an all-black dial with tone-on-tone subdials and, recreating one of the signature elements of the original Ref. 806 in 1959, the dial is adorned with a Breitling inscription in capital letters and an unsigned winged logo. A little-known fact is that the unsigned winged logo was used for the European market, while the watches sold in the US had an AOPA-signed logo. The Navitimer Ref. 806 1959 Re-Edition has a rotating beaded bezel made of precisely 94 beads, exactly the number found on the 1959 model. In the course of the production period for the original Navitimer Ref. 806, the number of these beads – the small markings around the bezel – varied from as many as 125 in the early 1950s to as few as 93 in 1960. This may be a small detail, but for enthusiasts of historical wristwatches, it is an important one. Even the stainless-steel case, measuring precisely 40.9 millimeters, has been developed specifically for the Navitimer Ref. 806 1959 Re-Edition, with the same lugs profile and finish as the original Ref. 806. The watch is presented on a black vintage-inspired leather strap. 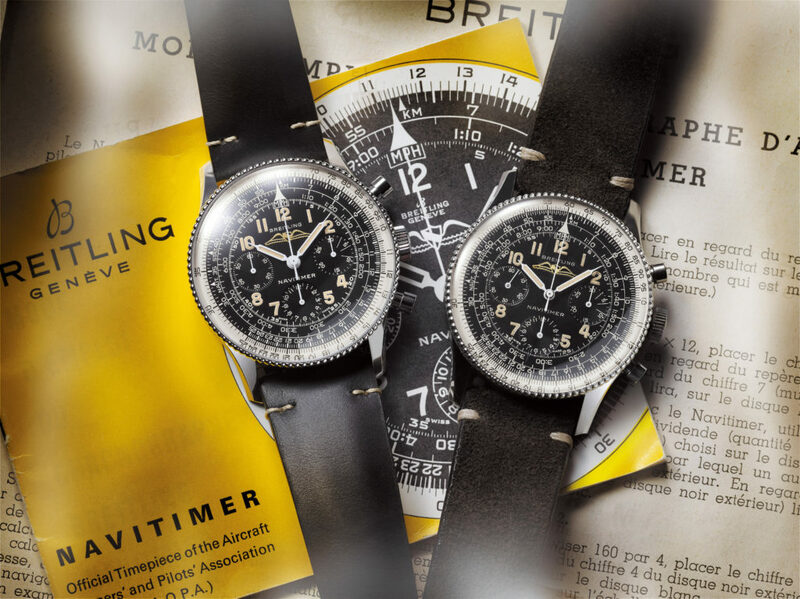 The famous circular slide rule, positioned beneath a piece of high-domed acrylic glass fashioned in exactly the same shape as the original, will be familiar to every passionate Navitimer fan. In fact, the only concessions to modernity are the water resistance, which has been increased to 3 bar (30 meters), and a Super-LumiNova® coating. While this is a modern luminous material, very special attention has been paid to its color to ensure it remains faithful to the luminescent material on earlier watches. Its hand-finished application gives the dial an additional touch of vintage allure and character. In respect to the original manual caliber that powered the early Navitimer, a completely new manual (hand-wound) movement has been developed. The in-house Breitling Manufacture Caliber B09 mechanical movement is based on the brand’s renowned in-house Manufacture Caliber 01 and is a COSC-certified chronometer. This movement will power many of the other hand-wound historical re-editions to come. privilege in the worlds of science, sport, and technology. Breitling manufactures its own movements in-house and the quality of every watch is confirmed by its status as a COSC-certified chronometer, made in Switzerland.